A week has passed since the excitement of Awesome Con Dc 2017. Don't you just hate the days after? For now... The only way I can fight the emptiness is to start preparing the next event. 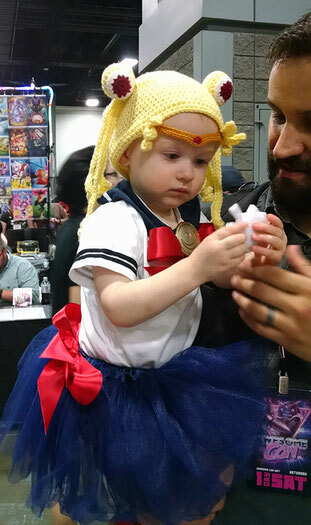 Awesome Con 2017 Artist Alley had many important guests this year. Starting with Stan Lee and David Tennant... and ending with the presence of old friends from previous events. Special thanks to those who visited our booth and supported us by getting new art and new books or simply to say hi and take some photos. We enjoyed every moment. The event was extremely family friendly, and the result was a fun Sunday with new young fans. We talked about Polly and our love to draw. We exchanged ideas about upcoming animations, games and summer graphic novels. I'm glad to have a few more fans from whom I hope to see fan art and drawings soon has they have promised me. They had fun and that makes me extremely pleased, moreover because Polly Mason and Paws had an important part in their smiles. 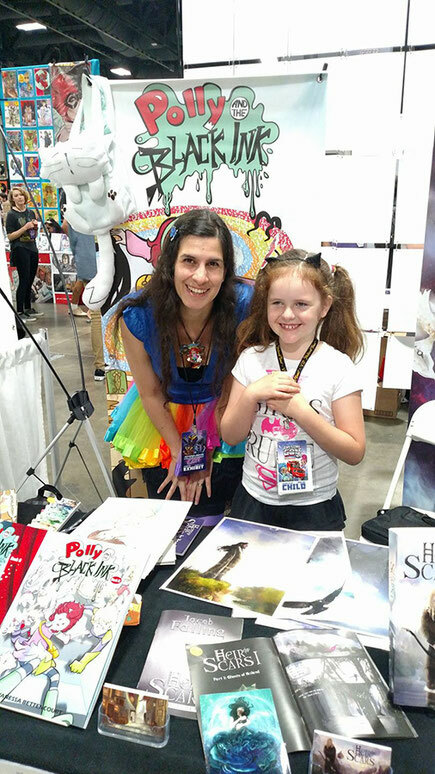 Polly and the Black Ink is an all ages graphic novel, drawing adults too who immediately realize the potential of the story. They categorize it as a great and interesting concept altogether with very original artwork and style. The story becomes more complex. We find ourselves following Polly Mason into mysterious and parallel worlds full of fantasy and populated with people's ideas, dreams and personalities. Who or what is the Black Ink? How can it be stopped? Can it be stopped at all? 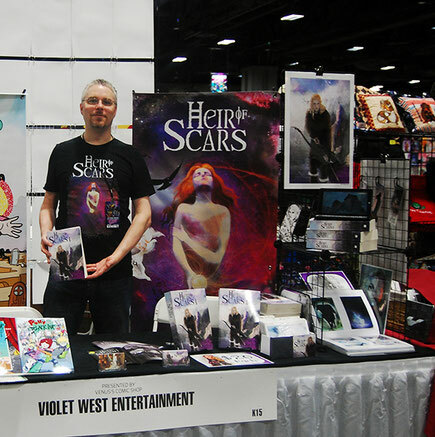 Heir of Scars epic fantasy novel book I by Jacob Falling was equally a success. Many are right now following Adria Idonea. The princess who refused to stay in her tower. Adria rebellions against the king, her father, and joins her uncle in the forest to become one of the Aesidhe. The new art includes the collection series of The Whispers and The Watchers. Prints available here. And of course it wouldn't be a truly comic con convention without the best cosplayers.